If you think Game of Thrones has a lot of drama on screen, you should see what happens behind-the-scenes. 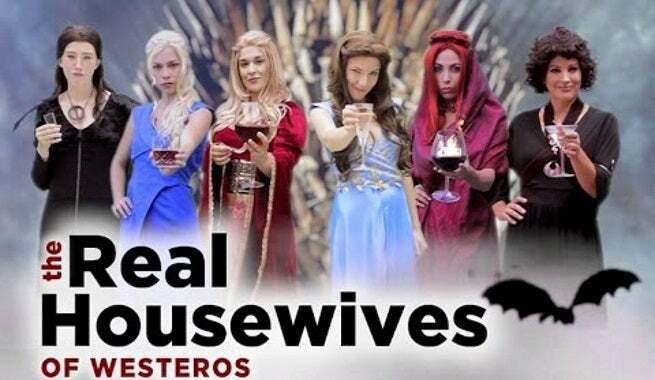 “The Real Housewives of Westeros,” a new parody video from Dirty Cues Productions, imagines what goes on between the leading ladies between episodes of the hit series. Will Sansa Stark finally stand up to Cersei? Will Daenerys find her dragons? Melisandre puts her magical spell on Stannis and Ellaria Sand has her hands full with the Sand Snakes. See it all in the video below. The actual Game of Thrones airs Sundays at 9 p.m. ET on HBO.